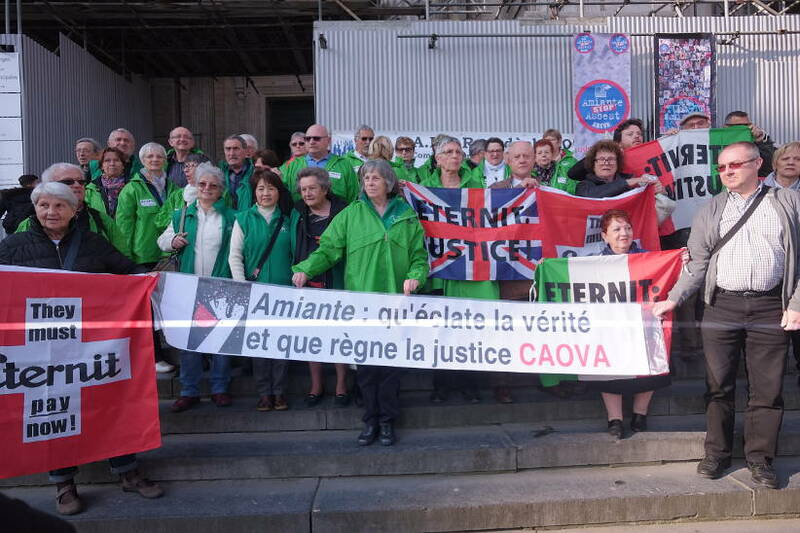 A historic victory was achieved on Tuesday, March 28, 2017 when the Brussels Court of Appeal upheld a ruling condemning the Belgian asbestos multinational Eternit for the environmental asbestos exposure which killed Françoise Vannoorbeek-Jonckheere (age 66) in 2000. In a 15-page judgment, the three judge panel concluded that Eternit had known asbestos was a carcinogenic substance since the 1970s but had failed to protect workers or local people from hazardous exposures as a result of which Françoise, who lived near the companys factory in Kapelle-op-den-Bos for decades, contracted the fatal asbestos cancer mesothelioma. Although the court slashed the €250,000 awarded to the family in 2011 to €25,000 on technical grounds, this decision is a triumphant endorsement of the human right to live a life free of contamination by deadly asbestos. Putting people before profits, this verdict sets a precedent that can be used by Eternit victims in countries such as Japan, the Congo, India and wherever Eternits asbestos operations compromised human health and the environment. Eternit has one month to appeal this decision to the Court of Cassation, Belgiums Supreme Court. 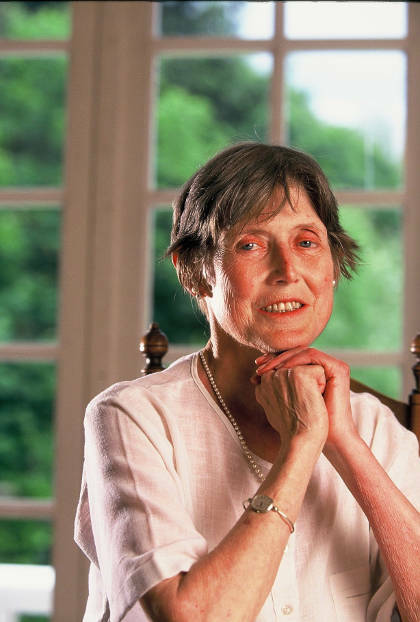 Years before her diagnosis, Françoises husband Pierre, an engineer at the Eternit factory, had died (1987) of the same asbestos cancer; he was only 59 years old. The news of her illness came as a huge blow to Françoise, the mother of five sons, who knew that her children had been exposed to the same substance and could also get sick. Her anger and determination to expose the wrongdoings of Eternit led her to refuse €42,000 in hush money from the company and, in 2000, to file a civil case against Eternit; this weeks verdict was the culmination of 17 years of legal proceedings that pitted a grieving family against the might and power of a huge multinational conglomerate. Unfortunately, Françoises fears for her children had been justified; her sons Pierre-Paul and Stéphane died from mesothelioma aged 43 and 44 in 2003 and 2009 respectively. Two of her surviving three sons have asymptomatic pleural plaques, markers of asbestos exposure; all of them live with the sword of Damocles over their heads. 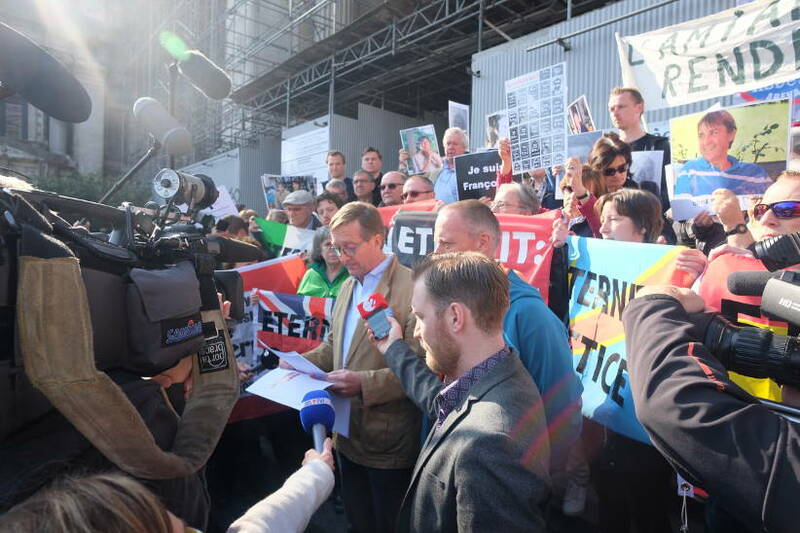 The significance of the long-awaited decision by the Brussels court, which resulted from Eternits appealing a scathing and unfavorable 50-page 2011 judgment,1 was appreciated by campaigners from Belgium and abroad. 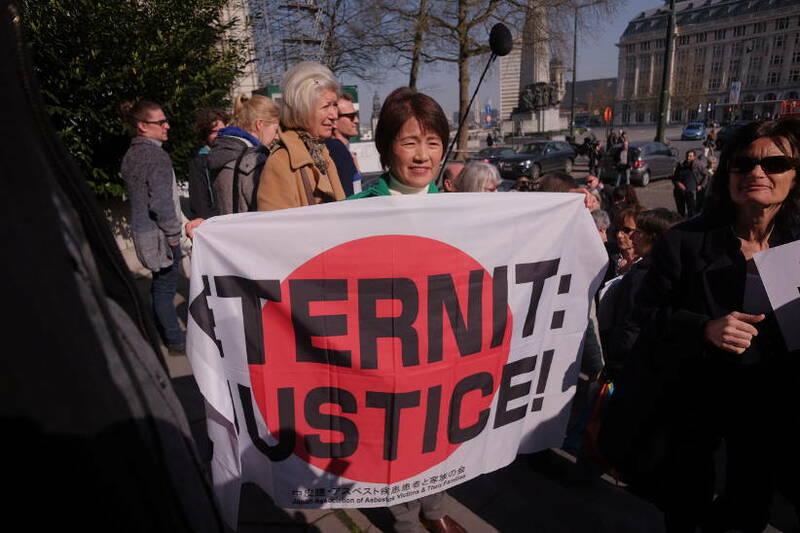 Standing outside the Palace of Justice on March 28 were scores of delegates representing asbestos victims groups from France, Italy, Spain, Switzerland, Japan and Britain. At 10 a.m. the Jonckheere family entered the court with their lawyer Jan Fermon to receive a written copy of the verdict and to discuss its implications. 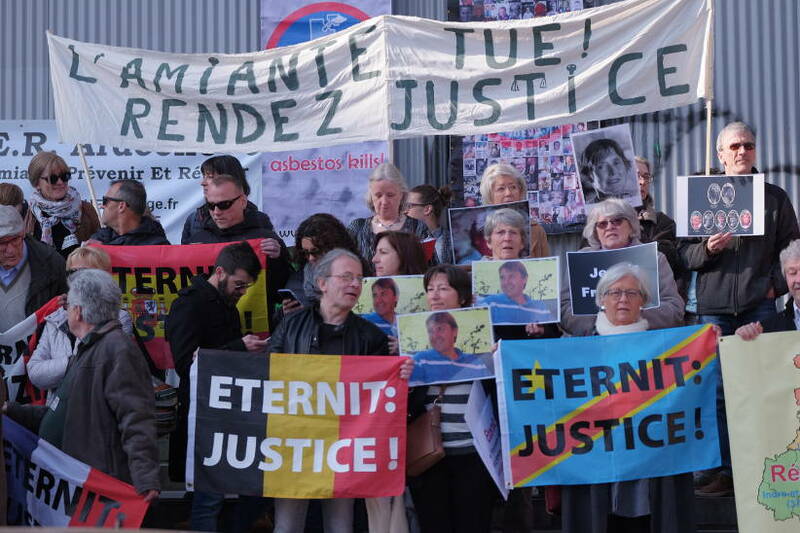 Their supporters waited outside in the bright Brussels sunshine holding aloft national flags with the motto Eternit Justice blazoned across them. Chieko Kosuge, whose husband and father-in-law died from exposure to Eternit asbestos in Japan. Colorful banners, hand-written signs and placards affixed to scaffolding in front of the Court added to the visual display as did the bright green jackets worn by members of the Ardeche asbestos victims group and international colleagues presented with jackets in gestures of international solidarity. Shortly after 10:30 a.m. the family and their lawyer exited the court building and Eric Jonckheere, Francoises son, read out a statement. The family had, he said, won the battle begun by Françoise for justice. Eric Jonckheere reading out statement after the verdict. 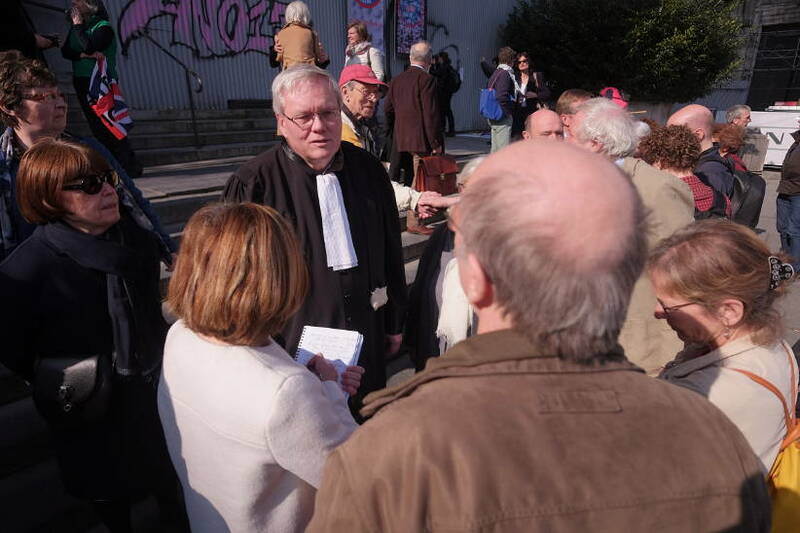 Thanking the familys lawyer Jan Fermon, Eric condemned the failure of Eternit to accept its responsibility despite masses of evidence documenting corporate knowledge about the deadly consequences of asbestos exposures. The Emsens, Belgiums third richest family2 and the owners of Eternit were, Eric said, accountable to the injured and their families. The decisions made in the Belgian Eternit headquarters affected people all over the world who had worked for Eternit subsidiaries, bought Eternit products or lived near Eternit factories.3 The Emsens Asbestos Barons had a duty to make restitution; financing programs to support victims, decontaminate schools and remediate toxic asbestos waste dumps in Belgium and abroad would be a good place to start. This case was never about money and on March 28 there was little concern expressed by the Jonckheeres about the damages. There was, however, a huge feeling of satisfaction that after such a long time, Françoises surviving sons had been able to keep their promise to their mother. It was, said Eric Jonckheere: a great day. This decision represents an enormous relief for us and we are fully satisfied since it recognizes the responsibility and the fault of the company. The fact that Eternit, a cornerstone of the economic, social and political life of Belgium for so many decades has been held to account for the damage done in its home country is a development of enormous import. 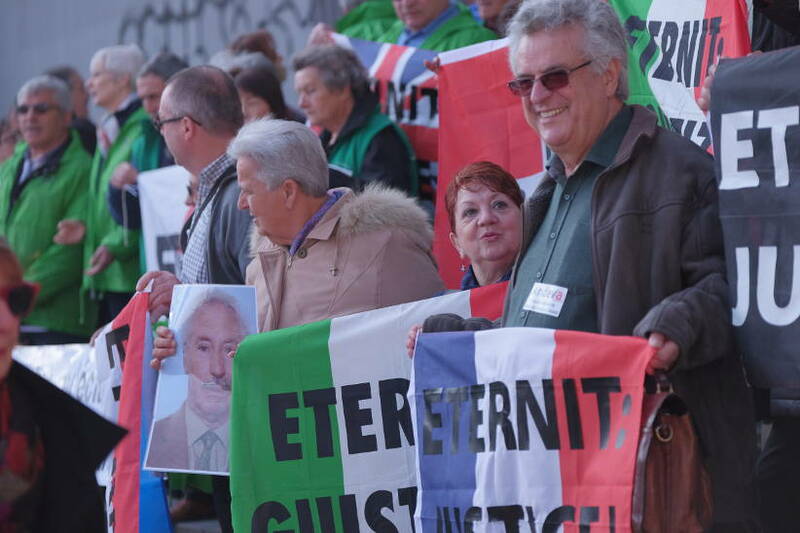 Eternit asbestos victims around the world will be heartened and inspired by this news. 1 Waterman Y. Belgian Family Wins Historic Court Case against Eternit. 2011. 2 Who are the richest Belgians? 3 History of Etex [Eternit].